Where is the last Infinity Stone? That’s the biggest question heading into Avengers: Infinity War, but we don’t find the answer in Black Panther. The Soul Stone, as far as what we can tell, is not hidden in Wakanda. Screenwriter Ryan Coogler explained his decision to leave infinity stones out of Black Panther during an interview with IGN. 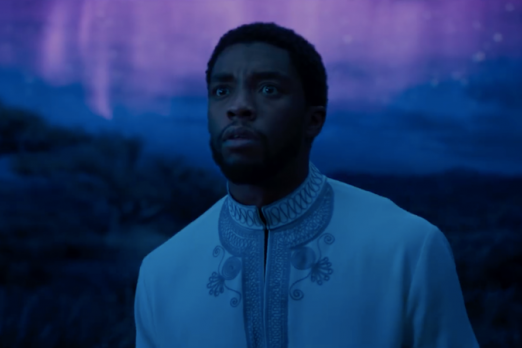 This absence of the Soul Stone makes the scenes from the trailers where Thanos’ army attacks Wakanda seem even more suspicious, unless the Soul Stone is somewhere we didn’t see in Black Panther. Regardless, this adds whole other level of mystery heading into Avengers: Infinity War. One fan theory argues the Heart-Shaped herb that grants the Black Panther abilities and brings them to visit the souls of the dead is somehow related to the Soul Stone’s presence. Perhaps underneath the dirt? However, T’Challa also gained abilities while he was covered in snow during his visit to the Jabari tribe. Coogler’s hesitance to include a stone upfront could just hammer home the fact that Wakandans are just really good at keeping secrets. Thor: Ragnarok might have seen the Space Stone (aka the Tesseract, which grants the user interstellar teleportation) already in the Infinity Gauntlet. Thanos also already has the Power Stone (the Orb from Guardians of the Galaxy). As for the others Thanos still needs, one is the Reality Stone (or Aether). It’s presumably still with the Collector after the Asgardians sent it to him in Thor: The Dark World. The second is the Time Stone, which is stored within the Eye of Agamotto, last seen in Doctor Strange’s possession during his brief appearance in Thor: Ragnarok. The third is the Mind Stone, embedded in Vision’s forehead. In the Infinity War trailer, we see it being pried out. Not a good sign. Do you have any theories on the Soul Stone’s whereabouts? Let us know in the comments. Black Panther is currently in theatres.